An innovator in providing software and hardware solutions for Emergency Medical Services and Rescue Operations, BlueBytes Medical offers a new portfolio of advanced products and solutions, delivering seamless and reliable medical-grade in-ambulance visualization, routing and integration technologies that saves crucial “golden time” to save a patient’s life. Our mission is to enable our customers to improve efficiency in EMS and Rescue operations, improve patient outcomes, increase patient satisfaction, and lower healthcare costs. Our Camera Modules address a broad spectrum of products ranging from security cameras to mobile handsets, webcams, toys, medical and products for customized application. Our complete Camera Module feature sophisticated Image Signal Processing, which enhance the performance of our image sensors. The integrated ISP analyses the scene and automatically optimizes the exposure, color balance, contrast, gamma as well as other subtle imaging parameters such as sharpness and noise filtering in a similar fashion to point and shoot consumer digital cameras. 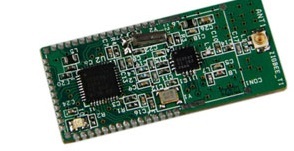 A miniaturized board that includes a ADCM-2650 Camera Module, Motion Sensor and a Zigbee Transmitter and Receiver System. The System is designed to support monitoring of locations and personnel detection in buildings, sewers and tunnels, etc). 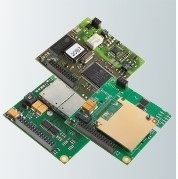 It consists of one or more sensor nodes and at least one gateway node, which form an ad-hoc, short-haul wireless network. The system components are battery powered and designed to be small, unobtrusive and light weight. imagery of detected events, allowing for remote classification of intruders. Ready-to-use integration modules from 1 piece already or customer-specific development of prototypes up to series production incl. free wiring diagram and layout review. Our integration modules provide you with a quick and easy option to integrate a professional data transmission component into your application. Focus on your core competence, conserve your development budget and shorten your time-to-market for the complete solution significantly. Our modules are available ready-to-use for all common transmission technologies and in different variants - and starting from one piece already.